Are you trying to find someone to do your windows cleaning for you, because you do not have the time or simply do not want to deal with it? Then we can help you. We are an esteemed and certified cleaning services provider and we operate here in Highbury N5. 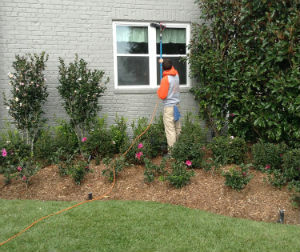 We are offering you to try or fantastic and unequaled window cleaning service – it is our speciality. Give us a call now and hire our fantastic cleaners to clean your windows for you. We promise you will be very pleased with their work. Everyone knows what a struggle it is to try and clean windows by yourself. Even if they are not hard to reach or hard to clean, there is usually some trace of drops or streaks left that is very annoying. Well, you can say goodbye to it all – the cleaning, the annoying traces. With our perfect window cleaning service your windows will be cleaned ideally, with no traces of water or cleaning products, and they will be left shining. Properly cleaned windows will make your home look good on the outside and on the inside, too, so give us a call as soon as possible and let us give you the clean and shining windows you deserve. Call us for an appointment now and get your windows cleaned professionally by the best window cleaners in Highbury. We promise we will not disappoint you. Our cleaners will give you outstanding cleaning results. Hire them for regular maintenance and rest assure that your windows are in good hands.